It’s absolutely beautiful!!!! 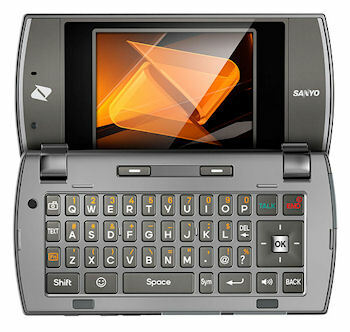 I’m not much for cell phones and those tiny gadgets, but the SANYO Incognito is stunning. It’s the SANYO Incognito™ model number SCP6760 to be exact. It’s like a tiny netbook! What it is is a beautiful little cell phone, but much more. a cell phone, duh– BUT there’s no contract! web browsing capabilities! I love that. extra options like stereo Bluetooth Capable, GPS Enabled, and Multi-Media messaging. This sweet baby comes with a $50 a month plan with unlimited talk, text, AND web with NO contract!! I think it’s terrific. The SANYO Incognito is selling for just $130. You can get free shipping here when you order the SANYO Incognito. ← WFW: Would You Die For the Truth?